As you can see in the start function, I also set the near clipping to a low value (the camera has a MainCamera tag BTW). 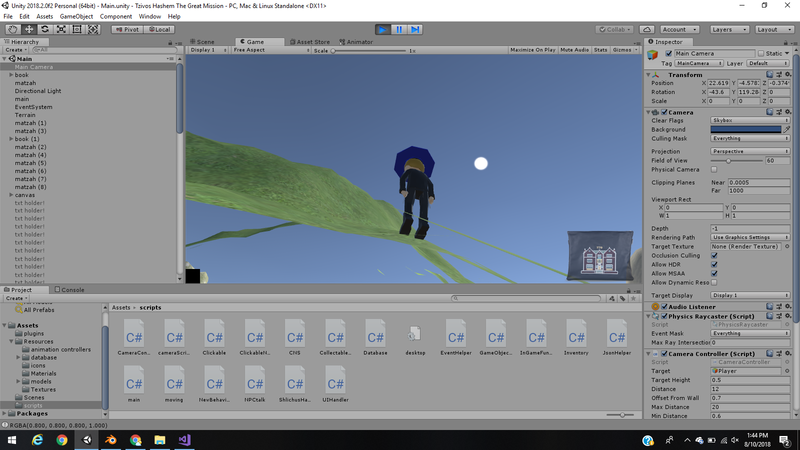 even with the low nearClipping value, and the high offsetFromWall value (0.7f when it's normally 0.1f), the camera is still clipping the ground when moving it with the mouse semi-fast (when it's moved kind of slow it's not a problem). I have no idea how to fix this, if I make the nearClipping lower the whole render gets messed up, and even then it doesn't work, so what else can I do to ensure that the user never sees underneath the ground? You can just cast a ray from, say, knees of the player model to the camera POV. If it intersects terrain - constrain the camera's vertical movement to current level. Not the answer you're looking for? Browse other questions tagged unity c# physics camera clipping or ask your own question. How to prevent clipping when moving through a tunnel?